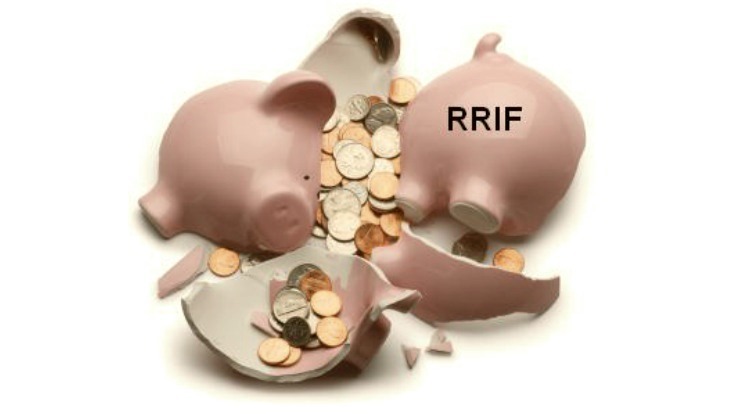 The 2015 Federal Budget proposed to reduce the minimum withdrawal factors applicable to RRIF/LIF holders that are between the ages of 71 and 94 years of age inclusive. The reduced factor changes were included in Economic Action Plan 2015 Act, no. 1 (Bill C-59). The minimum RRIF* withdrawal factors applied before the age of 71, obtained by the formula 1/(90-age), remain unchanged. The new factors will apply to 2015 and subsequent taxation years. The CRA has allowed financial institutions and individuals to comply with the proposed measures before they come into force. *The mention of RRIF includes all immobilized disbursement products such as: LIF, Restricted LIF, LRIF, regulatory prescribed RIF. You are not obligated to reduce the new 2015 minimum rates; you can choose to take no action. If you are already receiving minimum payments, you may reduce the annual minimum and reduce the future payments or stop future payments if the revised minimum amount has now been paid. If the new minimum is less than the amounts that have already been paid, the fund company will reduce upon request the minimum to amounts paid or the new minimum whichever is greater. Example: Original minimum = $10,000.00, revised minimum = $7,000.00, amounts paid = $8,000.00. Minimum will be reduced to $8,000.000 and payments will resume in 2016. If you have already taken your payments from the plan for the year you can choose to re-contribute the difference between the old minimum and the new minimum by February 29, 2016. The fund company will advise you (upon request) of the amount eligible for re-contribution in writing as required by the CRA. Note: That you are required to retain the notice of re-contribution should the CRA ask to review it. If you make a re-contribution, you will be provided with a 60(L) (V) Contribution receipt by March 2016 which is to be used when recording the deduction on your 2015 Income Tax Return. Note: The 60(L) (V) receipt indicates will display “RRSP Contribution Receipt” as the CRA does not have a template for RRIF contributions. This receipt can be used for reporting the deduction. Jane’s original 2015 minimum was $10,000.00 and her reduced 2015 minimum is $7,500.00. Part-way through 2015, Jane has already received $10,000.000 from her plan and has no further payments scheduled. Re-contribute up to $2,500.00 to her plan by February 29, 2016. Jane will report as the full amount withdrawn from her plan as income (which will be at least $10,000.00) on her 2015 income tax return, but if she decides to make a re-contribution, she can claim a tax deduction for the amount of the re-contribution. If you have redeemed from your income plan, but also have an amount of the original minimum left to redeem you can request a reduction and you will be provided with a notice of the amount eligible for re-contribution (if you wish to re-contribute). John’s original 2015 minimum was $10,000.00, and his reduced 2015 minimum is $7,500.00. Part-way through 2015, he already received $8,000.00 from his plan, and is scheduled to redeem a further $2,000.00 later in the year. He can stop further payments at the $8,000.00 already reached, and then re-contribute up to $500 to his plan by February 29, 2016. John will report the full amount withdrawn from his plan (which will be at least $8,000.00) as income on his 2015 income tax return, but if he makes a re-contribution, he can also claim a tax deduction for the amount of the re-contribution. If a re-contribution is made, a 60(L) (V) contribution receipt will be issued by mid-March 2016, representing the re-contributed amount. If you have any questions or concerns regarding the above-mentioned retirement income payment changes, please contact us at the office.